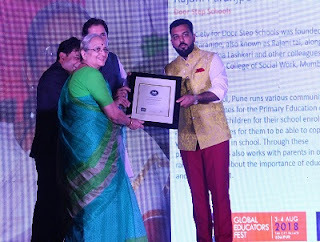 Rajani tai was awarded the Annual Teacher Warrior Award by Scoo News at a function held at the City Palace, Udaipur on August 3, 2018. 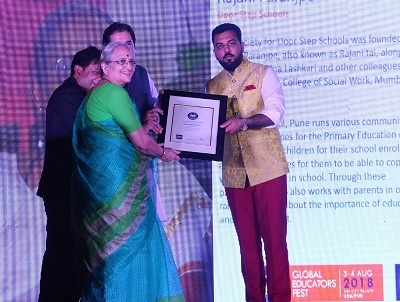 Scoo News appreciated her invaluable contribution to education and felicitated her with other such warriors at their Global Educators Fest 2018. With her dream to ensure that every child in the country gets access to education and becomes capable to read and write she continues her efforts to impart education to children across the country, and help the disadvantaged sections of society.